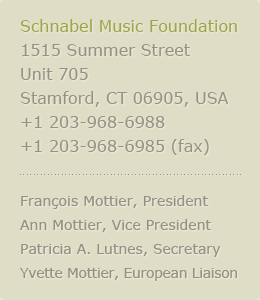 Please use this contact form to ask any questions relative to the Schnabel Music Foundation activities, projects, and products. If no response is required from SMF please feel free to use the blog areas on this website to expand on your thoughts. Thank you for visiting.